I guess they won't be too happy about what Harvard has planned for Western Ave in Allston. "Scientists who engage in stem cell research using human embryos should be subject to excommunication from the Catholic Church, according to a senior Vatican official." Other residents voiced concerns over the potential for snow drifting off the proposed tin roof and the ability of a truck to turn around in the relatively small loading zone. An interview about the condition of State parks focusing on the Charles River, Storrow Drive, and Daly Field in Brighton. Can better parks and beautiful public spaces make Boston more attractive so people and businesses will be more likely to want to live and invest here? Given the declining population of the city this is not an unimportant question. In 2005, venture capitalists invested $2.54 billion in 301 deals in the San Diego area and in Los Angeles, Ventura, Riverside and Orange Counties, a 17 percent increase in dollars over 2004. By contrast, the industry invested $2.67 billion in New England, a 13 percent decline in funds. The change marks an ascendancy for the Southern California region, now challenging the Boston corridor as No. 2 behind Silicon Valley in allure to venture capitalists. "There is a distinct possibility that Southern California will eclipse New England in the very near future," said Mark G. Heesen, the president of the National Venture Capital Association. "It is a significant shift." The growth in investment dollars in Southern California comes as the New England region has become less alluring to some venture capitalists. Charles R. Lax, managing general partner of GrandBanks Capital, a venture firm in Newton Center, Mass., a Boston suburb, said he was looking increasingly outside the New England area to invest capital. The reason, he said, was a rise in the cost of living and doing business. "It's hard to move people here and it's hard to keep people here," he said. "In the process, Yoon has rallied several councilors to his side and upset a budget process traditionally handled behind closed doors, where controversy and horse-trading with the mayor is kept out of the public view. He has further riled the mayor by taking on an issue that Menino has traditionally claimed as his own. Administration officials and allies on the council have lashed back at Yoon, criticizing his attendance record and lack of experience. Yoon ultimately lost his fight yesterday, with the budget passing 9 to 4. Detractors said it showed he has no clout, but Yoon said he has no plans to relent." Construction resumed yesterday on Boston roads after utility companies and others who routinely cut through the asphalt were called into City Hall and given a refresher course on patching holes in sidewalks and streets. The Senate passed an amendment to the budget stating that the Massachusetts Turnpike Authority would give priority status to the design and construction of sound barriers which are next to projects which have been recently widened. If the amendment is approved by both the House and Senate in conference committee, Lincoln St. in Allston would receive priority status for the sound barrier -- something residents have requested for a long time. Boston has narrowed its search for the next superintendent of schools to a list of five candidates, all career educators with experience in urban schools, several sources close to the search said yesterday. The candidates, four women and one man, include the first Hispanic superintendent of Rochester, N.Y., who was the 2006 national superintendent of the year; a former Milton superintendent; and the outgoing superintendent of San Francisco schools who was that system's first woman and first African-American leader." Similar groups are meeting in various sections of Forest Hills. The umbrella group, the Forest Hills Task Force, started two years ago. ``The point of the group is not to supersede the neighborhood groups, but we can speak more loudly if we speak with one voice. And here's a method to do it,' says Bernie Doherty, the chairman. Why did this take 10 months to resolve? "Last summer, the kiosks at the corner of Harvard and Brighton avenues and at North Beacon and Cambridge streets were replaced by street-level miniature billboards as part of a contract between the city and Wall USA, which also has built a number of new bus shelters around the city. One kiosk at the corner of Harvard and Commonwealth avenues was left standing, but the two that were removed were mourned by local entrepreneurs and Allston Village Main Streets, a nonprofit organization that works to promote small businesses in the neighborhood . The group had erected the kiosks eight years ago." Back to the subject of how much it costs to ride the T, it is nice to see that in San Francisco they have the vision to let people ride for free to, among other things, decrease air pollution. "The first free-ride offer by BART this year, offered June 22 because of high air pollution levels in the Bay Area, brought a 10 percent rise in ridership. A total of about 329,000 passengers -- 33,000 higher than the average Thursday ridership -- took the train on the first Spare the Air day declared by the Bay Area Air Pollution Control District. According to BART officials, having that many people leave their cars at home reduced pollution levels by 726 tons. " The Catholic Archdiocese of Boston plans to announce this weekend the closing of a parish in Brighton, St. Gabriel, that has been on the brink of closing for months, since the religious order that oversaw the parish announced it was pulling out of the region. The closing of St. Gabriel, which is owned by and located adjacent to Caritas St. Elizabeth's Medical Center, is one of several closings taking place as the archdiocese wraps up some of the loose ends of the contentious parish closings process begun in 2004. The parish's programs, including a Spanish-language Mass, will be transferred to the last surviving Catholic church in Brighton, St. Columbkille. Mayor Thomas M. Menino, amid an outcry from Boston city councilors and community leaders, said yesterday that he will accept an offer from Governor Mitt Romney to loan state troopers to Boston for special operations this summer. Romney had offered the use of State Police as Boston's understaffed police force battles a wave of crime and heads into a summer that some fear will be the bloodiest in years. On Thursday, Menino said he had decided to refuse the help, largely because Boston's powerful police unions would oppose it. The trials, to be run the morning of April 20, 2008, will complement the 112th running of the Boston Marathon, which will be run the following day. The top three finishers in the trials will represent the US in the 2008 Olympics in Beijing. The women's trials will run on a specially designed criterion course starting and ending on Boylston Street, touring the Boston landscape from Commonwealth Ave., across the Charles River on the Massachusetts Avenue Bridge, and back. Mayor Thomas M. Menino, after riding down a roughly repaved Dorchester Avenue, has abruptly halted all construction on Boston streets by utilities and contractors, saying he is fed up with the ragged condition of the roads. A Brookings Institute study of census data showing that middle class neighborhoods are becoming more rare across the country. Between 1970 and 2000, lower-income families became more likely to live in lower-income neighborhoods, and higher-income families in higher-income neighborhoods. Boston falls about in the middle of the pack in the ratings - approximately half our neighborhoods are middle income, 1/4 are very low or low income, and 1/4 are high or very high. The most stratified cities include New York, Los Angles, Miami, Houston, and Dallas. Minneapolis-St. Paul, Grand Rapids, and Salt Lake City have the largest middle class. BostonHerald.com - Style & Fashion: Tree grows silk-screen print party: "You gotta make it cool enough for guys and hot enough for chicks," said Dave Tree, a local silk-screen artist and owner of House of Ill, Illuminated. Tree is taking a cue from his artist friends Travis Lindquist, David Hochbaum and Colin Burns, who hold a monthly silk-screening party in New York. He will offer his own artist party tomorrow in Allston - but you don't have to be an artist to attend. Prints are $5 each but Tree also accepts clothing donations. Personally, I don't know how anyone can make a case for the State being able to afford cutting taxes. Look at the condition of our roads, bridges, parks, and other aspects of our shared public realm. In many cases these things are a mess (crumbling bridges over the Charles River, overwhelmed transporation system, expensive and slow public transportation, heavily used parks needing more maintenance...) and the only way they will get fixed is if the state spends the money that it will cost to fix them. Boston lost 30,107 residents in the first half of this decade, a precipitous drop that ranked the city among the biggest population losers of any major municipality in the country. But Boston officials insisted that the way the Census Bureau estimates the number of housing units, in particular, fails to take into account that the city rehabilitates many of its old buildings, rather than demolish them. In May, a Globe survey of 524 people who left Massachusetts last year showed the top reasons people gave for moving was a better job, followed by the cost of housing, family ties, and the weather. A majority of those surveyed also reported they were very satisfied with life in their new state and would not move back. Economists said that the high cost of housing in Boston, compared with other US regions, is one of the main reasons people are leaving the city for more affordable housing outside the state. Why are campaigns so negative and sarcastic? How could anyone be convinced to vote for Patrick, Mihos, Reilly, or Gabrielli as a result of these petty quotes? ...Opponents called it an election-year switch. "They change their minds with the wind over there, no matter what it is," Mihos said. Richard Chacon, spokesman for Patrick, the first candidate to publicly oppose the hike, said "We're glad that Kerry Healey has finally joined us in opposing this unfair hike," but he added: "What's next? When she finds out that Mr. Patrick favors raising the minimum wage will she shift on that, too?" Gabrieli spokesman Joe Ganley said, "Kerry Healey is just like the New England weather. If you don't like her position on an issue, just wait a day, it will change." Reilly spokesman Corey Welford said, "To think that we should be raising fares at all on people at a time that they are being squeezed from all sides, shows once again how out of touch Kerry Healey really is." "an empty storefront that he hopes to turn into a thriving boxing league. ``The ring is on its way, and this is where it goes,' he says, standing in the bay window. Already, three Everlast punching bags sit in boxes on the floor. In the basement, he envisions a recording studio and video arcade"
Face painting, pizza, ice cream, bubbles, and sidewalk chalk! Install emergency lighting and exit signage. Interior renovations include flooring and carpet, window treatment, lighting and signage. Exterior renovations include signage, fences, roof, and retaining walls. Install windows and upgrade HVAC system. HVAC system and improve access. Renovate basement, cell block and booking area, including ADA ramp. Replace windows and repoint exterior masonry. Renovate portico, front entrance and garage. Upgrade electrical, HVAC, and plumbing systems. Repair roof and install fire protection system. Waterproofing Repoint and waterproof front exterior masonry wall. Replace fire escape, replace windows and lintels, repair roof and interior plaster repairs. Repair front portico and provide new hand railings. Reconstruction of roadway. Construction funding provide by the State and Boston University. Reconstruction of roadway. State construction funding anticipated. Replace apparatus floor slab. Exterior improvements to building envelope and sitework. Interior improvements including stairs, mechancial, electrical and plumbing systems. Plaster and paint walls and ceilings. Site improvements including paving, fencing, and landscaping. ADA improvements. Replace garage roof windows and doors. Upgrade site lighting and replace fuel tank. Replace furnace. In Dorchester, Ridgewood Street is a residential sliver of mixed signals. Attached to gates, and above the doors of the shingled three-deckers, signs say ``Keep Off' and ``Private Property.' But yesterday afternoon neighbors sat on one another's porches and left their gates open listening to reggae music and munching on chicken, macaroni and cheese, and Cape Verdean dishes. It was the street's second annual block party. Almost 100 people, including Mayor Thomas M. Menino, came out for the food and stayed for the fellowship, taking pride in the positive aspects of a community historically plagued with gangs and violence. Children danced, drummed on overturned buckets, and created Father's Day cards and glittery butterflies, while adults soaked up the sun. Outgoing University President Lawrence H. Summers received a warm send-off from the City of Boston last night at an event held at the Harvard Business School�s Spangler Center to celebrate the completion of the Allston-Brighton Oral History Project. The ceremony packed one of the Business School's opulent conference centers with local Allston-Brighton residents invited to view the premiere of a documentary on the area's history produced by John D. Perry '03 and sponsored by the University and Boston. The University's effort to warm the local community to its ever-deepening presence was not lost on attendees, who were treated to a sumptuous buffet of duck canapés, marinated artichokes, and chocolate éclairs. "I think it's important for them to make the gesture," said Elizabeth Cusack, whose son, John Cusack, serves on the Harvard-Allston Task Force appointed by Menino. "And I think it will help in the future." Chugging vodka, and yelling “Pull over!” - a homeless man playing policeman hijacked an unattended cruiser and raced around the city with flashing lights and wailing sirens until the real cops slammed the brakes on his joy ride, police said. He was busted in Allston on the corner of Franklin and Bradbury streets around 5 p.m. that night after he blew out one of cruiser No. 7089's tires. My kids and I were walking back from the playground on Tuesday evening and saw two Transit Police cars at Franklin & Bradbury, one with a flat tire. Looked like a strange situation - there was a huge hole in the sidewall of the tire - and it turns out it does have a strange explanation! Harvard University & the Brighton Allston Historical Society are hosting a reception and the premiere viewing of the Allston Brighton Oral History Project. During the raid late Tuesday, the federal squad, which includes a Boston police sergeant detective, prepared like a football team before a playoff game. Their chests bulged with bullet proof vests and stiff Kevlar gloves protected their hands from needles, knifes and rusty fences. They chugged bottled water, huddled around clip boards and stretched their limbs, ready to give chase. Badges dangled on chains around their necks as they passed around wanted posters, shinning flash lights on the face of a 24-year-old Latvian man who had served prison time for assaulting a police officer. The team moved in the dark, climbing fences and hiding behind parked cars to encircle a three-story house in Boston's Allston-Brighton neighborhood. All at once they emerged from the shadows. A half-dozen agents filled the front porch, their knocks on the front door echoing down the block." In New York and around the country, it has become standard practice for developers of major projects to negotiate with neighborhood and other groups to forge so-called community benefits agreements - contracts that almost always contain wage and hiring goals and may also include a grab bag of concessions, like a day care center, a new park, free tickets to sports events and cash outlays to be administered by the groups themselves. The Woburn-based office and retail developer has the building at 176 Lincoln St. in Allston under contract, confirmed Dan Doherty, a principal at the company. Sources said the sale price is $22 million. Doherty declined to specify plans for the 450,000-square-foot building, but said he has received calls from office, institutional and retail tenants that are interested in leasing some or all of the building. Real estate sources close to the deal said Eastern's first choice would be to lease the empty building to an office tenant. Joseph Porcelli was sick of learning about people getting mugged as they departed the Orange Line's Stony Brook station near his home in Jamaica Plain. So back in August 2004, the longtime DJ approached his neighbors and asked them to stand watch, every night, on the front porch. By summer's end, he said, two things had happened: The muggings stopped, and the group wound up becoming pretty good friends. Porcelli thought he had hit upon a connection between being social and decreasing crime. He started Neighbors for Neighbors, JP, in which nearly 1,200 residents are trying to create a better, safer community by encouraging neighbors to be, well, neighborly. Mayor Thomas M. Menino said yesterday that he intends to boost the Boston Police Department by about 140 officers over the next year in response to the surge in violent crime troubling several neighborhoods of the city. But Samuel R. Tyler, president of the Boston Municipal Research Bureau, a nonpartisan financial watchdog, questioned yesterday whether the city could afford the additional costs, particularly when it is negotiating with nearly every union and doesn't know how much it will take to settle their contracts. Menino had insisted for months that the city could not afford hundreds more officers. But yesterday he said the city must dramatically increase police hiring, even if it means sacrificing elsewhere. A cable access hip hop show is sparking a debate over decency. A Boston city councilor says he was horrified by the racy images he saw on the show. Now he wants to monitor the channel's content. City councilor Jerry McDermott of Allston-Brighton objects to what he saw on the show "Strickly Hip Hop" show on BNN, the Boston Neighborhood Network. For Brighton residents looking to enjoy a walk, jog, or bike ride along the Charles River, Brooks Street is a tantalizing, yet maddening, shortcut. The busy road connects the Oak Square area with the riverbank where Soldiers Field Road, North Beacon Street, and Nonantum Road meet. A general lack of pavement markings in Boston is too often the cause of poor driver behavior. Well-designed markings provide a necessary sense of order and direction with no room for competing "interpretations" of an intersection's proper flow. Harvard Street northbound at Brighton Ave. in Allston illustrates this point. Harvard is wide enough to accommodate a left-turn lane and a through/right turn lane, yet only a double yellow line is painted down the center." 'We can create a place that is open, free, and usable by all people - families and children, and faculty, staff, and students - and contributes to the quality of life of the Allston community and Boston region,' Olin added. "The next steps of the master planning process have to be carefully considered," said Gordon. "The University has done a lot of thinking about what makes sense, what might fit. We need to refine these ideas and think about how to make the master plan really come alive - what will the new Harvard look like? How can we make it a wonderful, livable place? Where will things be? When will they be built? - these are all key questions to explore further in conversations with people in the coming year." "But there still seems something wrong with staging what amounts to a hostile takeover of a community. Ultimately, the working-class people who live there, including many recent immigrants, are no match for the sheer purchasing power of the University and its constituents. 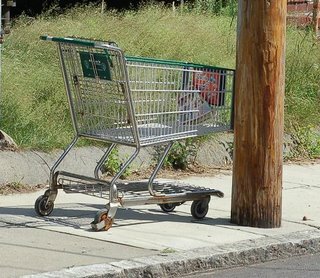 The fragile ecosystem of the Allston community will get crushed underfoot no matter how gingerly the 800-pound gorilla that is Harvard places its steps. Just as the physical Allston, the panoply of buildings, streets, and greenery, will undoubtedly change for the better, the real Allston, the community of people and relationships, will slowly atrophy, replaced by an ever-metastasizing Harvard. Though Harvard hopes to create a synergy between the communities, they will not mix, if Cambridge is any indicator. The intruding university and the existing community are irreconcilable worlds-at different ends of the socioeconomic scale, with different priorities in life and different backgrounds. No matter how many community-friendly "cultural facilities" Harvard builds, it will be very difficult indeed to bridge that gap. " First, in 2001, rapid change was just what the presidential search committee was looking for and, seemingly, just what Harvard needed. After a decade in which the University was relatively stagnant in most respects other then its endowment figures and clandestine land-purchases in Allston, Harvard had much ground to make-up—the once-per-generation Harvard College Curricular Review and the largest physical expansion of Harvard’s in its history hung in the balance. The University is primed to become the life sciences epicenter of the world with planned facilities in Allston leading the way. With much work left unfinished—the conclusions of he curricular review hardly at hand, Allston planning still ripe for revision—the true test for the Summers legacy becomes whether his vision outlasts his five years, whether his ideas prevail. Campaign excesses - The Boston Globe: "Pamela Wilmot, executive director of Common Cause Massachusetts, predicts that when it is all over next fall, the candidates in the general election will each have spent as much as $12 million in an effort to become the governor of Massachusetts." It did not have to be this way. In 1996, voters overwhelmingly endorsed a Clean Elections Law that would have provided adequate public funds to allow qualified candidates to stand for elective office. ``What's sad is that it was never given a chance to work here," said Warren Tolman, who ran a Clean Elections campaign for governor in 2002, hobbled by delays in providing him funds. ``What I learned in '02 is that while people recognize the need to get money out of politics, it is no one's number one issue." This controversial science could be coming to Allston when the new science buildings go up on Western Ave.
MetroFuture: Making a Greater Boston Region is an initiative to identify how the region should grow through the year 2030; the final strategy must reflect the many voices and interests of the region's residents. Whether your concerns relate to housing affordability, traffic congestion, water shortages, public safety, the region's diversity, municipal finance or other issues, reserve a seat at the table! The first of five public hearings on the proposed fare hike are scheduled today: 4:30 to 6:30 p.m. at the Boston Public Library at 700 Boylston St. Under the proposed hike, local subway service fares would rise from $1.25 to $1.70, and local bus service will jump from 90 cents to $1.25. Plans to demolish the Goldstein Furniture building at 156 Lincoln St. in Brighton and replace it with a considerably larger self-storage facility met with stiff opposition at a hearing Wednesday night at the Honan Allston Library. "I'm not interested in having Brighton become the storage capital of Boston," said Jane McHale , who lives about two blocks away and distributed a flier at the meeting detailing her and her husband's concerns. "It doesn't make for community, it doesn't make for neighbors. This is very desirable property, and we as residents, and the people that actually live here, need to have some kind of control as to what happens around us." If you think of it, to 'elect' means to choose. If there's no choice, how can there be an election? And if there's no true election, where's the democracy? The fact is that Massachusetts has a disgraceful record of non-competitiveness in its legislative races, ranking worst, or next worst, of all the states over the last two decades. A self-storage facility proposed for 156 Lincoln St. brought neighbors out in force to a Wednesday night Boston Redevelopment Authority meeting. Opponents called the storage units 'lifeless' and 'tin shacks,' while proponents argued the business would bring little traffic or noise to the neighborhood. The proposed facility would be four stories high and include 850 to 900 storage units, ranging in size from closet- to garage-sized units. 'Self-storage is not the kind of building where people jump up immediately and say, 'Thank God you came',' said George Bachrach who would like to buy the Lincoln Street lot and erect a Public Storage building. The Presentation School Foundation invites its friends and supporters to 'A Celebration of Community' on the Oak Square Common on Friday, June 9, at 5 p.m. This celebration takes place on the first anniversary of the Roman Catholic Archdiocese of Boston�s lockout of Presentation School children. It also marks the second year of this community's dramatic struggle to regain the Presentation School building as a community anchor. The Honan library is having a party! Come join the fun at a celebration of the branch's fifth anniversary. Festivities, including music, refreshments and children's activities, are Monday, June 5, 5:30 to 7 p.m.
TownOnline.com - Arts & Lifestyle: Education notes: "Boston College will again open its William J. Flynn Recreation Complex for free use by Allston-Brighton residents this summer. The 2006 summer guest program runs Monday through Friday, June 5 through Aug. 18." Boston is launching a crime alert system that will send text messages, e-mails, and faxes to residents when crimes occur in their neighborhoods, police and city officials said yesterday. The program is initially being tested in three police districts in Dorchester, South Boston, and Roxbury, and could expand to cover the rest of the city later this year. "Nearly four centuries later, Harvard's plans -- which include building a new campus of buildings -- fit well with Massachusetts' desire to rejuvenate its economy by encouraging biotechnology firms to replace the region's long-fading manufacturing base. Models and drawings of Harvard's new Allston campus, which will eventually spread over 200 acres (80.9 hectares), show Harvard is planning big. The multi-decade effort calls for a new science building, an arts complex, new dormitories and new main buildings for several professional schools now located elsewhere. And there is little doubt that Harvard, boasting a $28 billion endowment that makes it the world's richest university, has the money to fund it though the cost remains under wraps. When the science building is finished, 1,000 people will find work in a complex strategically located between the university's main campus and its nearby teaching hospitals, a move Harvard hopes will foster collaboration.